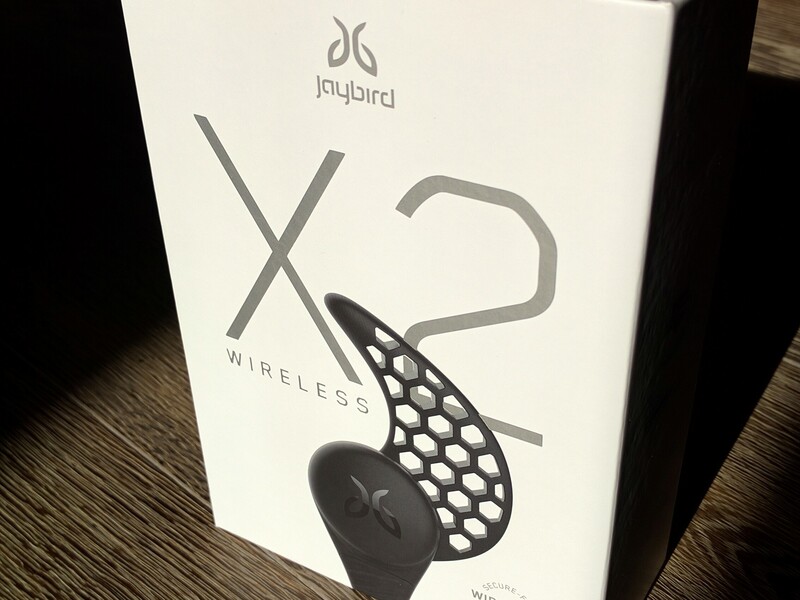 There are a plethora of in-ear sports Bluetooth headsets for sale on Amazon, but if you want great sound and quality, it's hard to beat the Jaybird X2. I haven't had a chance to use them myself, but I know Artem loves his set. The biggest reason I've hesitated in picking up a pair is the price. $180 bucks is a lot to drop on a set of headphones, even when they are as good as these. Well, the temptation has grown a lot stronger today because Amazon just dropped the price by more than $50 to $126.25. That's getting pretty dang close to my impulse buy territory. Plus, I turned 30 today and I kinda feel justified in spoiling myself just a little. It's important to note that not all the color options are on sale. 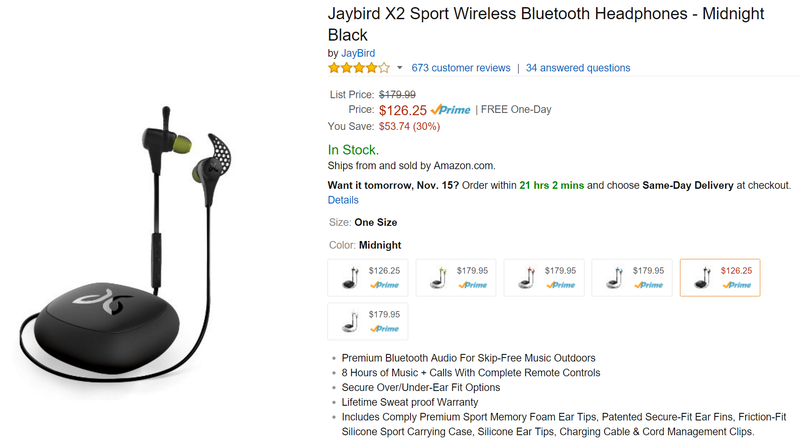 Only the midnight black, and alpha (which sport a military green body with red ear buds) color headsets are rocking the discounted price. The headphones come with a carrying case, six different ear bud tips, three sets of ear fins, and a lifetime sweat-proof warranty. The link below will take you the Amazon product page where you buy a pair, or maybe two, after all, it's never too early to start holiday shopping.